Deciding on which rental company to rent a car from can be quite a challenge due to the many companies that exist in Melbourne. Car rental companies have different offers on prices and services they provide. AUZ Rental Car specialises in vehicles that are reliable and cost less to maintain. 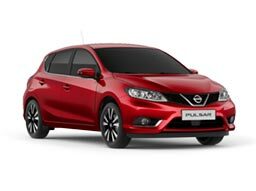 We provide a range of small and economical cars which are perfect for use in the city, off-road cars and station wagons which are ideal for people carrying extra luggage. Rental car Melbourne also rents out SUVs for those who need extra space and performance. In addition, car rental Melbourne Airport provides minibuses for persons travelling in large groups. We pride in offering cheap car rental Melbourne, and possessing the friendliest staff. The following 10 things are important to consider when choosing a rental car company. 1) Price – Different rates apply depending on the duration of time the car is hired, the day in a week and season. 2) Age of the car – Rental car companies that offer new cars usually charge premium prices. 3) Size of the vehicle – One should ensure that the car they intend to hire is able to accommodate your needs such as luggage and number of personnel. 4) Distance to be travelled – Some rental car companies can either charge their hires for unlimited kilometres or charge per kilometre travelled. 5) Additional drivers – Some rental car companies may or may not charge for additional drivers. 6) Roadside assistance – car rental companies offer 24hrs roadside assistance courtesy of Automobile Association. Customers whose hired vehicles experience mechanical problems are not charged for the service while those with a flat tire or battery are charged a small fee for the service. 7) Is Smoking allowed – Most rental car companies prohibit smoking in their vehicles and will charge a cleaning fee if you smoke in their vehicles. Ensure to check the rental agreement before signing and ask for clarification on issues not clear to you from the company. At AUZ Rental Cars, we take pride in providing our customers reliable vehicles and excellent customer service at competitive prices.